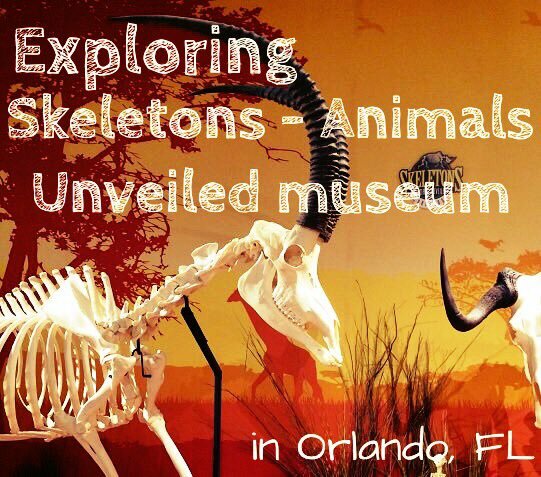 Exploring Skeletons: Animals Unveiled – A Totally Unique Orlando Attraction! 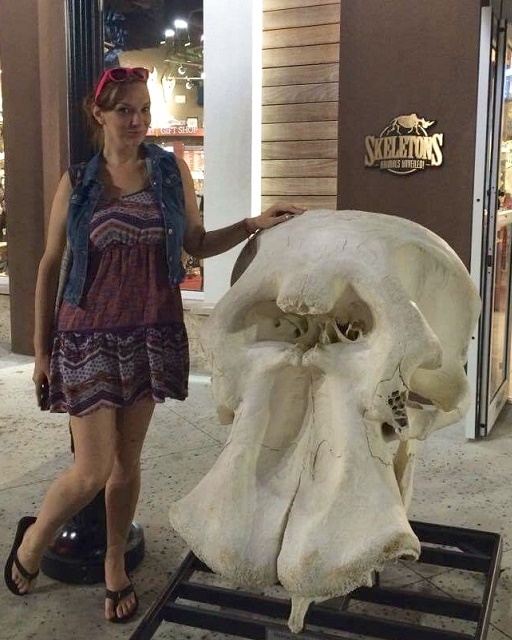 Huge thank you to Skeletons: Animals Unveiled museum in Orlando for helping me share their awesome attraction with you by providing tickets for us! Orlando has grown quite a bit since I last lived there 6 years ago. We have SunRail now, our own MLS team (#GoCity! ), and quite a few new attractions. One area I really wanted to check out while I was in town was the new (to me! It’s been there over a year now) I-Drive 360 group of attractions that includes the Orlando Eye (kinda like the London Eye, but more Orlando-y), an aquarium, a Madame Tussaud’s wax museum, some cool looking restaurants and bars, and a really unique attraction called Skeletons: Animals Unveiled. I only got around to visiting the last one on that list this time, but hopefully I’ll get to visit the others soon after I move back to FL! As you might guess from the name (Clever girl! 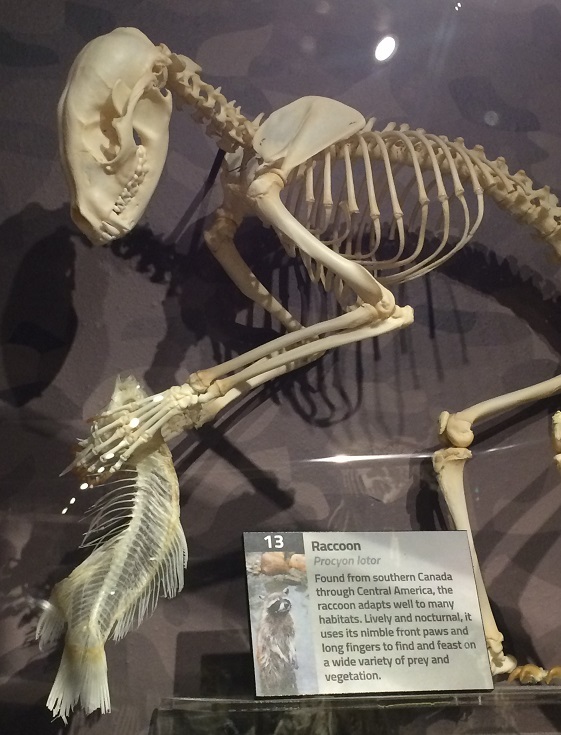 ), this is a museum that features a whole lot of animal skeletons. It’s fascinating if you’re interested in science-y things, and definitely educational. 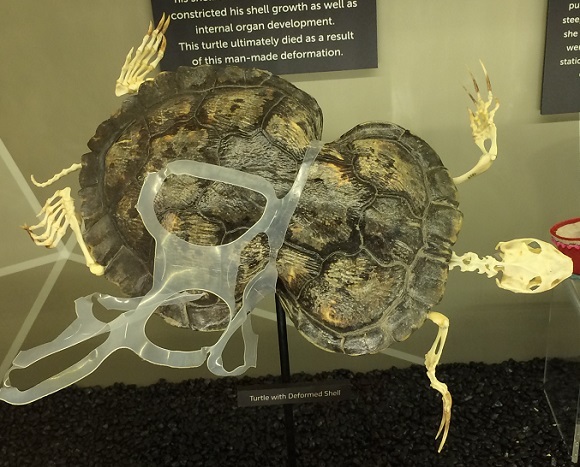 I can see a lot of kids LOVING this place, but if you’re not sure if your kids will be into it or freaked out, I suggest a stop in the gift shop first, since they have a few skeletons on display there and you can see how the kids react. Just chillin’ with a former elephant. 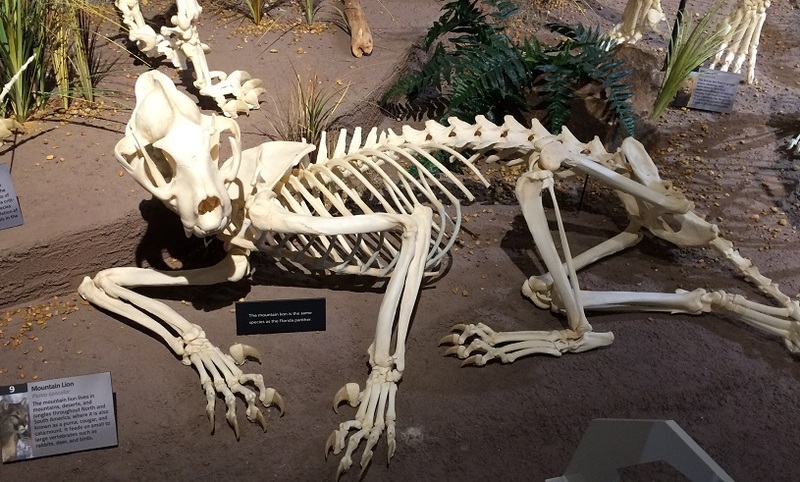 The museum contains over 400 different animal skeletons, most of which are displayed in natural poses; for example, bird skeletons might be perched on limbs, while a cheetah is shown mid-sprint. 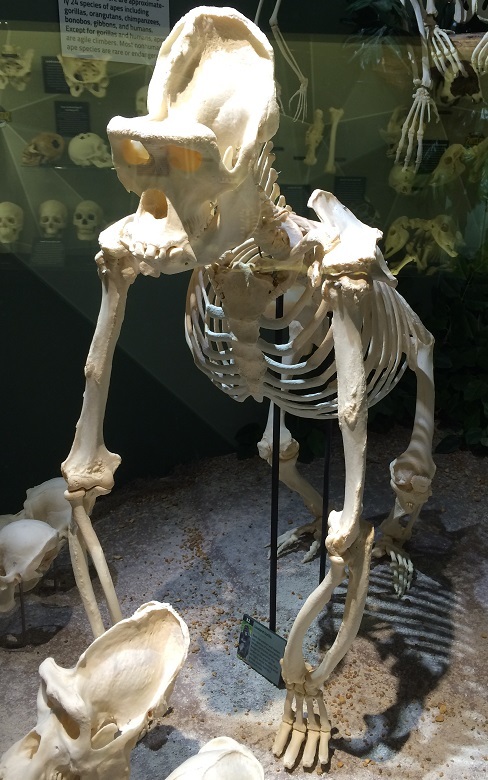 Not only do the poses bring the skeletons “to life”, so to speak, but I think it’s much more interesting to see how a spider monkey’s skeleton supports its body as it hangs from its tail than to just have hundreds of skeletons in neutral poses. Want a fancy word to impress people with? 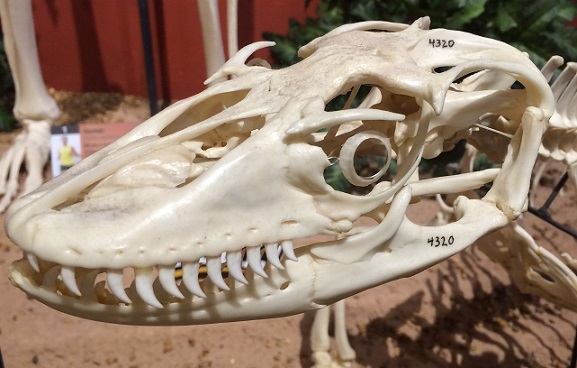 The eye rings that you see on a lot of bird and fish skeletons, as well as our buddy the Komodo Dragon here, are called Sclerotic Ossicles! They reinforce the cornea and help the eye focus. Kinda jealous that we don’t get to have them, but then I realized that I accidentally stab myself in the eye with mascara often enough that I probably would have broken one by now, and that seems super painful. The signs claim this is some kind of seal, but we were 100% sure it was a mermaid. 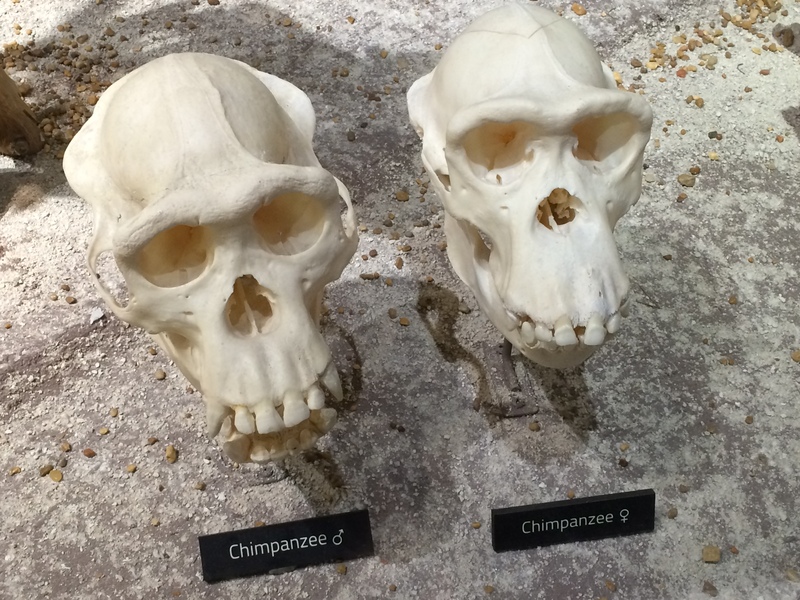 One of the most fascinating things for me was learning about the visible differences in male and female skulls. 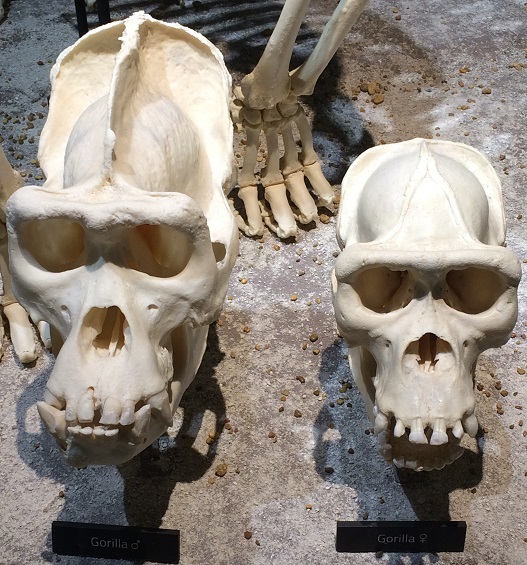 Somehow, I never knew they could be so dramatically different, even though I’m a total anatomy nerd and grew up wanting to be a vet! 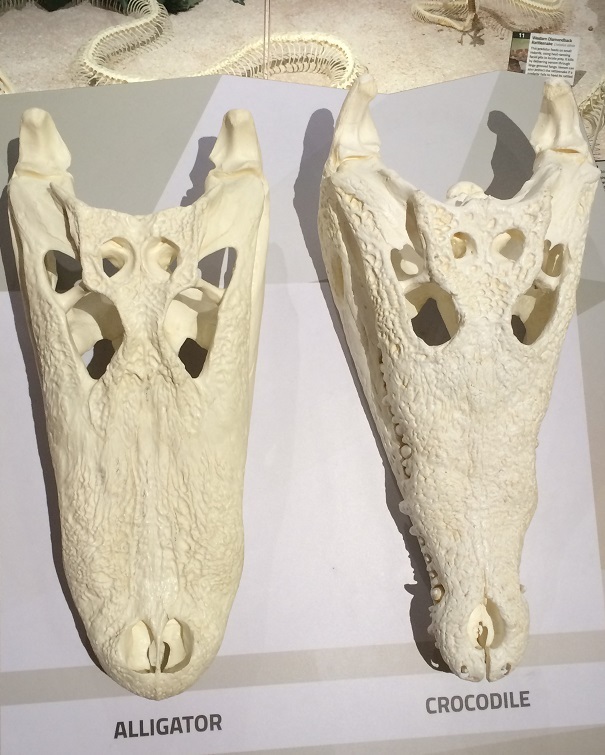 Another cool skull comparison: Alligators vs Crocodiles! As a proud Cat Lady, you can probably guess which section I nerded out over the most. I wish I could have somehow captured how HUGE this African lion was. Big, BIG kitty. …or share more info about individual body parts. 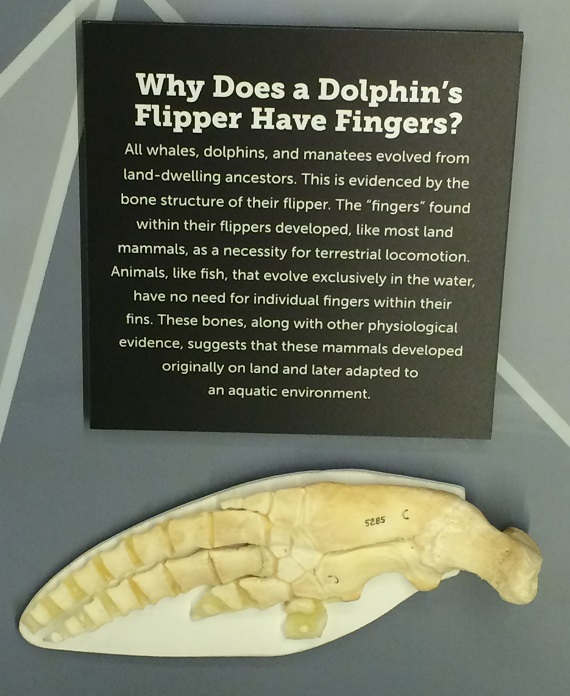 Am I the only one who had no idea flippers had bones in them?? 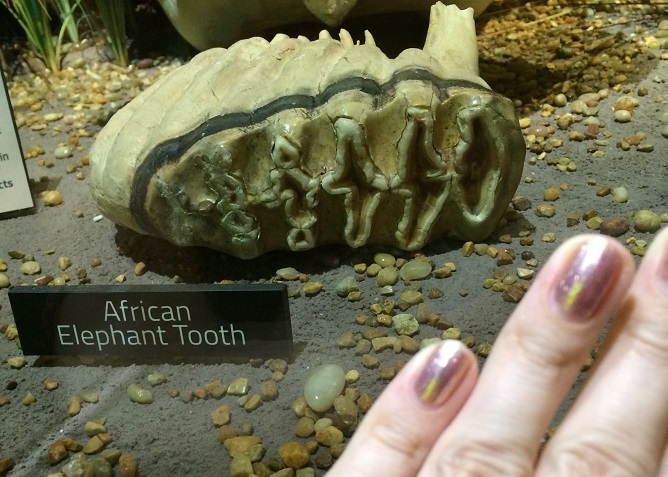 Very fancy job of using my hand to show you how huge elephant teeth are. 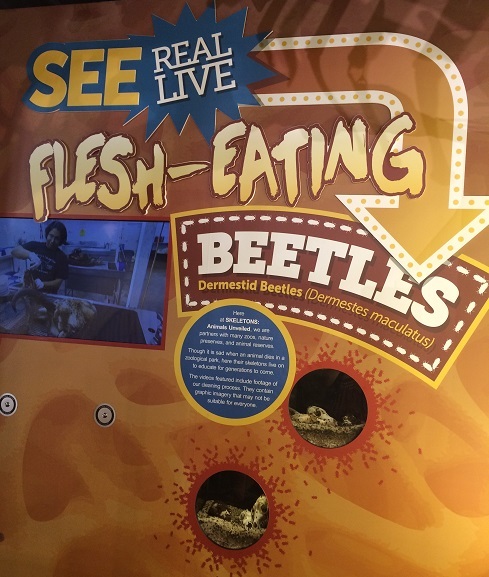 There is one opportunity for a good “Ewwww!” inside the Skeletons museum: Flesh eating beetles. 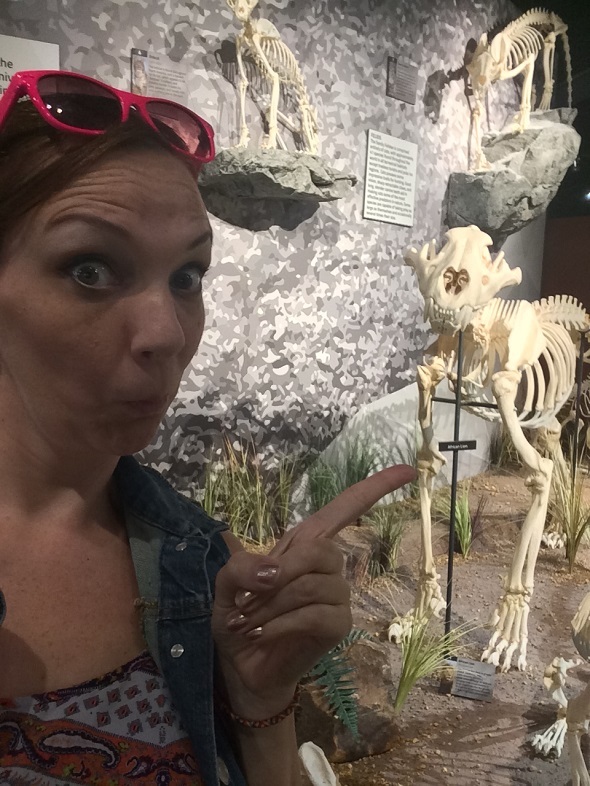 The Skeletons museum is much larger inside than I expected – 8,000 sq ft! At one point I thought we had seen just about everything, but then we rounded a corner and there was still like half a museum to go! I’d say the average visitors will spend around 90 minutes here. You could definitely spend longer if you stopped to read every sign (they’re interesting!). 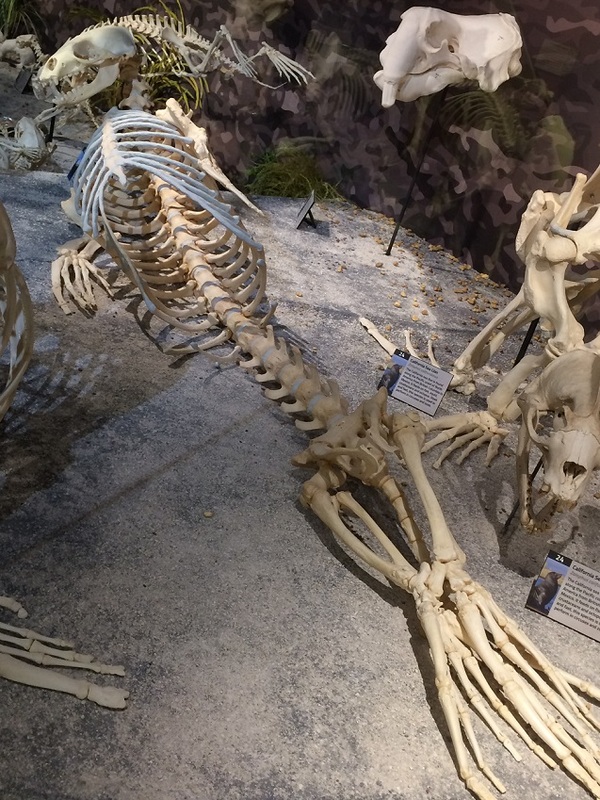 Although we visited in the evening, I think the Skeletons museum would be an awesome choice for the middle of a crazy hot summer day so you can cool off for a while, or during one of Florida’s infamous afternoon thunderstorms. One cool thing I learned is that they have resources available if you’re visiting with a school group or even just your own kids that want to dive deeper into the educational aspects of the exhibit. There’s also a scavenger hunt available at the entrance filled with questions for kids to find the answers to through out the museum. 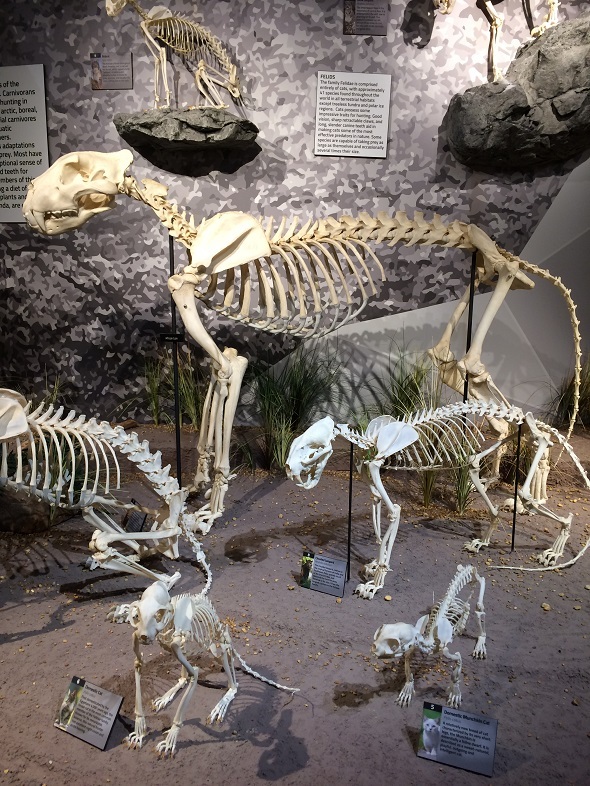 If you’d like to see more of the Skeletons: Animals Unveiled museum, I definitely recommend their Instagram account, which is full of fun facts an interesting info, as well as a peek at many of the exhibits. You can also find them on Facebook, and purchase discount tickets on their website! 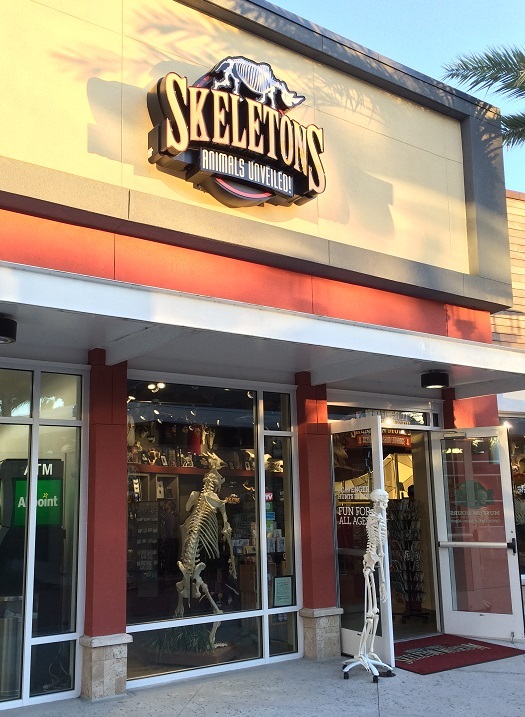 I’m curious – is the Skeletons museum the kind of attraction you’d be into checking out when you visit Orlando? 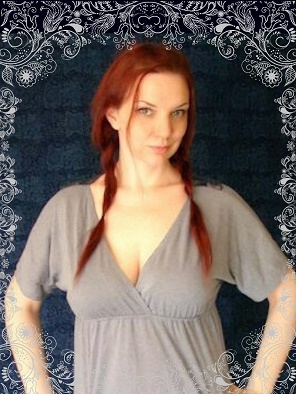 I’d love suggestions on what kind of Florida things you’d like to see on my blog! This is such a cool thing to do – very different from the usual Orlando activities. I’m adding it to our list of things to do when we visit Orlando next year.